Olari Elts' passion for distinctive programming rich with invention has earned him much praise on the international music scene. Alongside traditional repertoire, Olari Elts has a strong commitment to vocal and choral as well as contemporary music, with close associations to his fellow Estonians, Arvo Pärt and Erkki Sven Tüür. Olari Elts appears regularly with such orchestras as the City of Birmingham Symphony, the Hallé Orchestra Manchester, Scottish Chamber Orchestra, BBC National Orchestra of Wales, Danish National Symphony, Norwegian Radio, Helsinki Philharmonic Orchestra, Netherlands Radio, Orquesta Sinfónica do Porto Casa da Música, hr-Sinfonieorchester Frankfurt, SWR Radio-Sinfonieorchester Stuttgart, Wiener Symphoniker, Ensemble Orchestral de Paris, Orchestre National du Capitol de Toulouse, the Seattle and Cincinnati Symphony. In Japan, he works frequently with the Yomiuri Nippon Symphony Orchestra. In Australia and New Zealand, he conducts the symphony orchestras in Perth, Melbourne, Hobart and Adelaide as well as the New Zealand Symphony Orchestra. Soloists with whom he collaborates include Jean Yves Thibaudet, Simon Trpceski, Stephen Hough, Alexander Melnikov, Christian Tetzlaff, Baiba Skride, Isabelle Faust, Viviane Hagner, Gautier Capucon, Kari Kriikku, Claire Booth, Sally Matthews, Lilli Paasikivi, Michael Nagy and Stephan Loges. 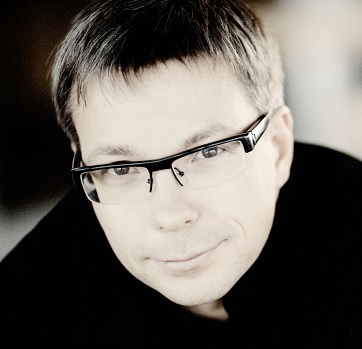 Winner of the International Sibelius Conductors' Competition in Helsinki in 2000, Olari Elts was Principal Conductor of the Latvian National Symphony, Scottish Chamber Orchestra, Estonian National Orchestra as well as the Orchestre de Bretagne and most recently the Helsinki Philharmonic Orchestra. Born in Tallinn in 1971, Olari Elts is founder of his contemporary music ensemble, NYYD Ensemble.